The sheer wonder of the Giant Sequoias is found not only in their height, but also volume and age. But is it the 8th Wonder of the World? On July 17, the Visalia Convention & Visitors Bureau announced that the current standings for the quest to crown the “8th Wonder of the World” had been released. The Bureau nominated the Giant Sequoia Trees as a candidate for the honor this past June. Thanks to public voting, the Sequoias currently rank in the top 100 out of over 300 nominations. Giant Sequoias are among the tallest (286 feet tall), largest (113 feet in diameter) and oldest (over 2,300 years) things on the planet, making the trees and National Parks both a national treasure and ultimate playground. “As the gateway to Sequoia and Kings Canyon National Parks, these natural wonders are always on our mind. 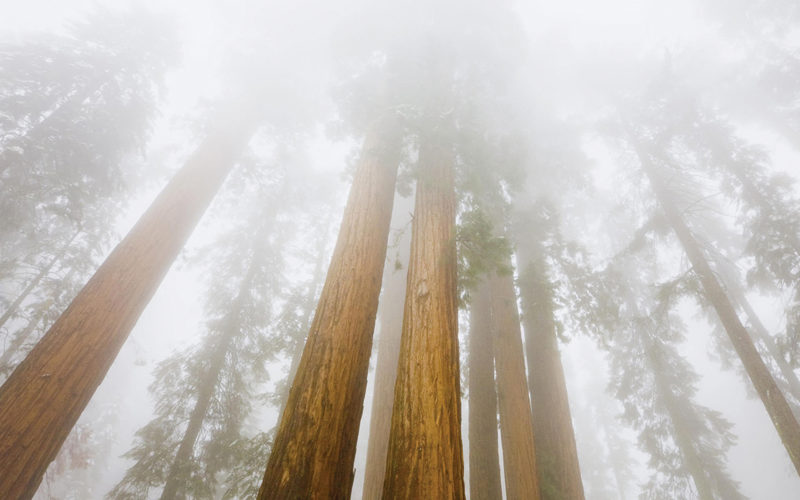 People travel from all over the world every year to visit the Giant Sequoias and are completely awestruck by their size and beauty,” the Visalia Convention & Visitors Bureau said in a statement. Public voting is now open at VirtualTourist.com, a leading travel research website and community that is a part of Trip Advisor Media Group. The public is encouraged to vote for the Giant Sequoias each day until September 30th through www.VirtualTourist.com or through the Bureau’s website at www.VisitVisalia.org. Members of the public are allowed to vote once each day until the voting ends. The winner will be featured in a national broadcast TV segment on a popular syndicated program, as well as receive a massive media relations campaign push from VirtualTourist. “As locals, we’ve been lucky to have these magnificent trees practically in our backyard. Our ancestors took in their majesty and beauty years and year ago and we’re still able to do that today. The Giant Sequoias are a link to history and a powerful link to Mother Nature, which is why we feel they should be honored and recognized as the 8th Wonder of the World!,” stated the Visalia Convention & Visitors Bureau. The Visalia Convention & Visitors Bureau (www.visitvisalia.org) is a non-profit organization developed as the region’s premier marketing engine that promotes Visalia’s world-class assets to leisure visitors, travel trade, and convention businesses. The Bureau works to ensure the cities’ economic vitality by generating awareness, new business and leisure travel activity through sales and service, hospitality, marketing and communication. As a regional tourist and meeting destination that features some of California’s finest cuisine, boutique shopping and convenience for many travelers, Visalia is quickly becoming one of California’s meeting and visitor hotspots. The VCVB is governed by a 17 member board, and partners with travel suppliers and industry leaders throughout the Central Valley to market our destination. VirtualTourist.com is one of the largest online travel communities in the world and a premier resource for travelers seeking an insider perspective. Boasting close to 2 million travel reviews and over 4 million photos of 61,000 destinations worldwide from 1.3 million members, VirtualTourist (http://www.virtualtourist.com) attracts 8 million unique visitors per month. Unbiased, respected, insider advice on Hotels, Things to Do, Transportation, Favorites and more is posted entirely by VirtualTourist’s membership from more than 220 countries and territories. Virtual Tourist is a subsidiary of TripAdvisor, Inc.
TripAdvisor is the world’s largest travel site. TripAdvisor offers trusted advice from real travelers and a wide variety of travel choices and planning features with seamless links to booking tools. TripAdvisor branded sites make up the largest travel community in the world, with more than 200 million unique monthly visitors, and over 100 million reviews and opinions.